The unofficial kickoff to summer is here with the long 3 day Memorial weekend and we are so excited! 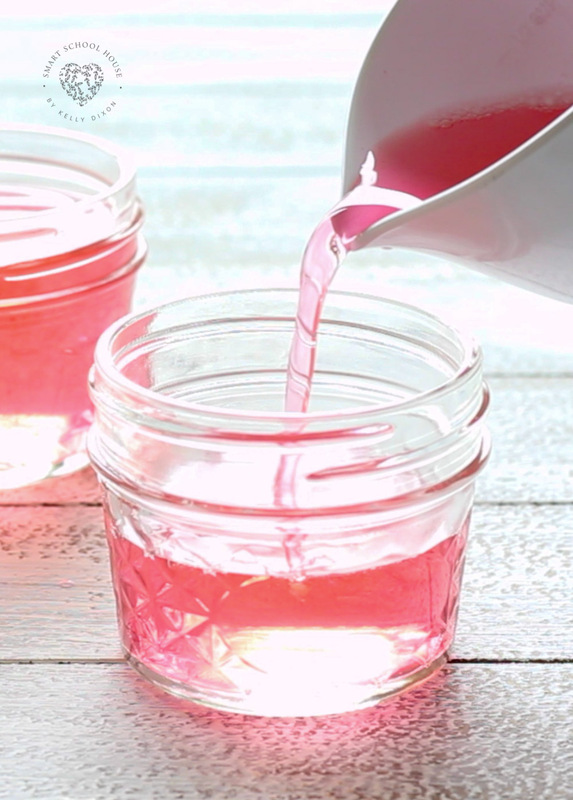 We still have 4 weeks left of school, but today we are sharing with you how to make gel air fresheners that will make any room smell like a tropical paradise! 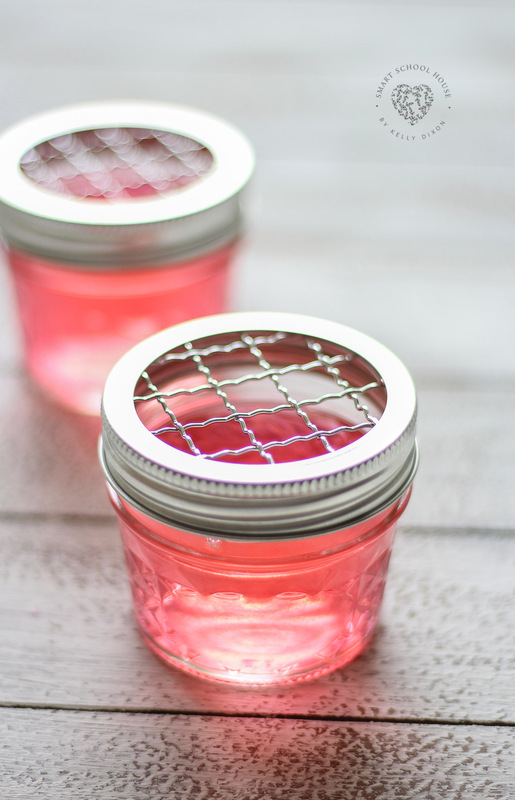 These DIY gel air fresheners take about 5 minutes to make! How’s that for easy? Today we made a tropical scented air freshener. We love going to the beach and vacationing in tropical areas like Hawaii and Mexico. 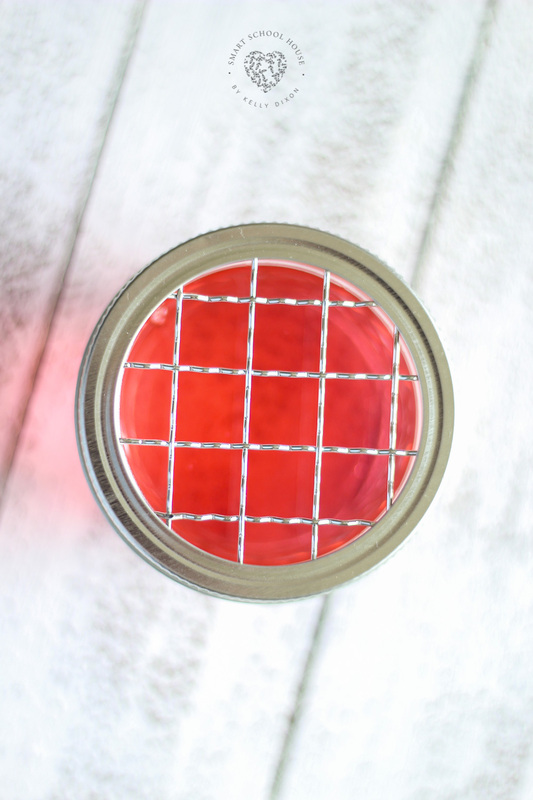 This gel air freshener is a blend of these two fragrances. We used Tahitian Vanilla (found here) and Pineapple (found here). I love that they only cost about $3 each! What is a gel air freshener? Gel air fresheners are able to scent the air for a long time because gelatin holds its shape and the fragrance in it. 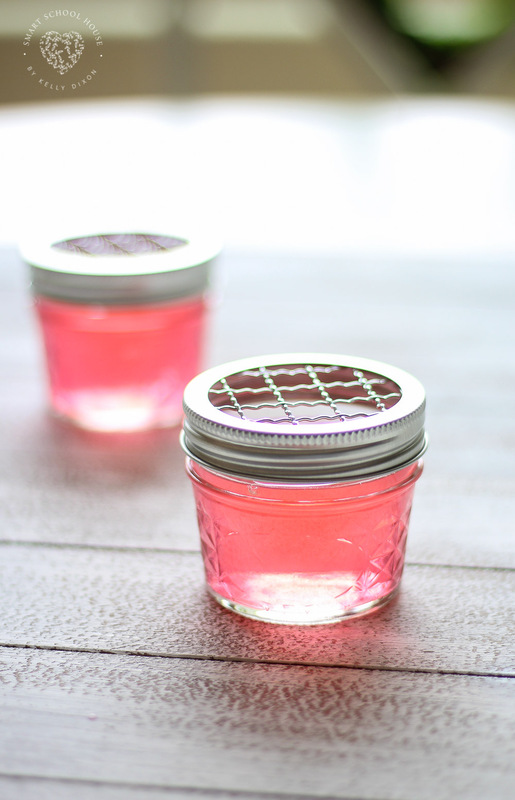 You can purchase pre-made gel air fresheners in a variety of fragrances, but for a fraction of the price you can make your own gel air freshener in any fragrance you desire. 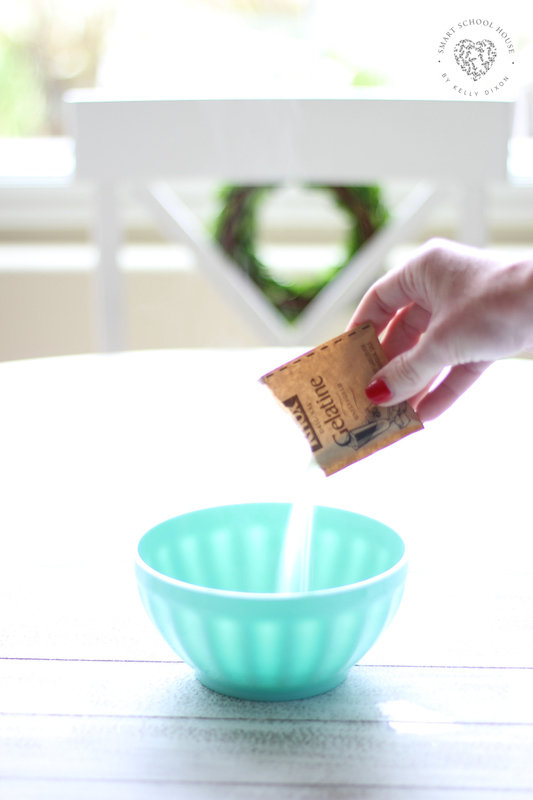 We think that this DIY air freshener would be a neat gift for friends, family, or neighbors too. You could add some fabric over the frog cover, tie some dried flowers onto the side, or even wrap the up in clear cellophane for a beautiful gift. Remember that the fragrance can change all year long! Make a pumpkin spice gel air freshener for the fall and a sugar cookie scented gel air freshener for Christmas. 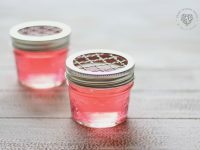 4 oz mason jars (this recipe will fill exactly 2 jars). I got mine at Michaels but you can order them here online also. Fragrance oil or essential oils of choice! Add food coloring until desire shade is reached. It can be left clear too! Place the frog lid on top of the jar, remove the flat canning lid that comes with the jar, and tighten the frog lid in place. 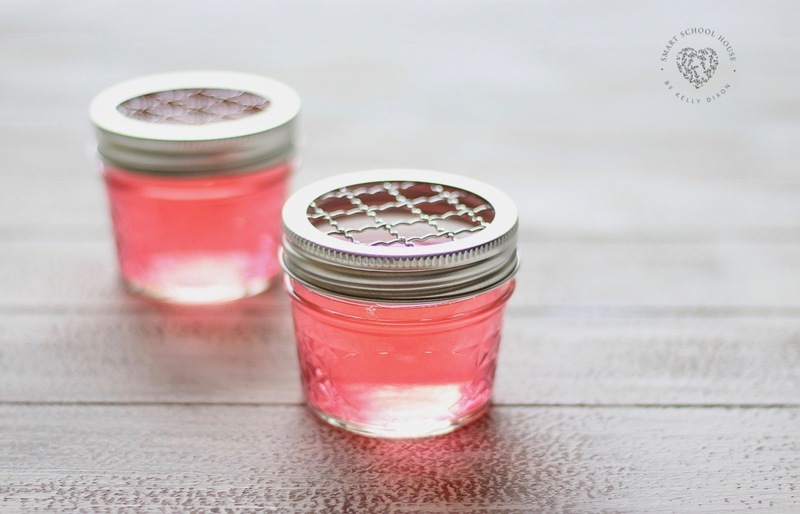 Place the jars around your home to make any room smell great! I am trying this with citronella for individual bug repellant the dining tables for a large party.